This might be the quickest project I’ve ever done! Really. 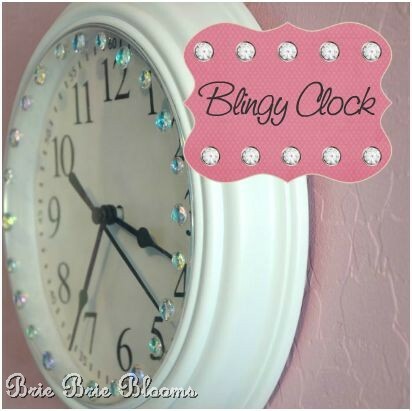 I transformed a boring clock into something sparkly in less than five minutes. My daughter is just learning how to tell time on a clock. 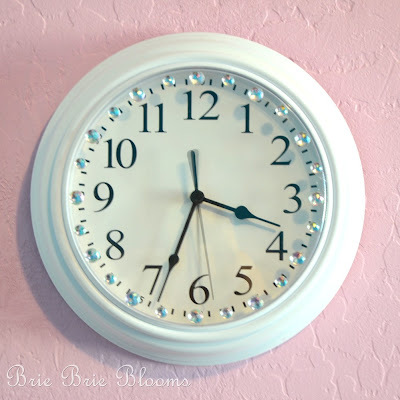 It’s important to have a wall clock in her room but I didn’t want to purchase something new to match the glitter, tulle, and rhinestone accents we’ve been adding to her princess themed bedroom. 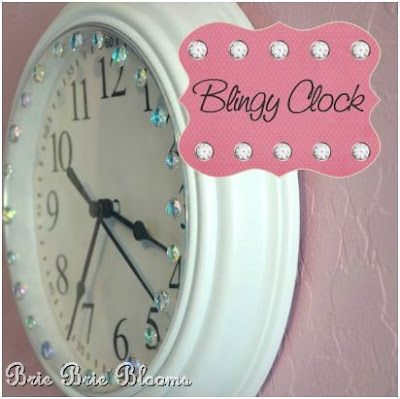 I simply updated her plain white clock by adding some bling. I could have painted or changed the face on the clock but I wanted something clean with out too many extra details to make telling time easier. The little bit of sparkle added to the clock worked perfectly. I don’t recall where I purchased the clock because I’ve had it for a few years but my best guess would be Target. 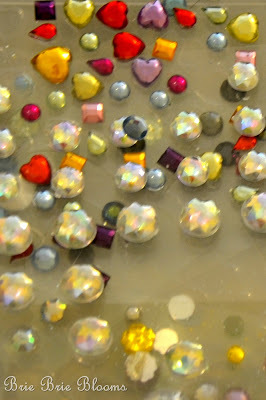 I pulled out my stash of sticky rhinestones and just stuck them to the front of the clock. I like that this is not a permanent change to the clock. Very cute idea. My daughter would love this! This is really fabulous idea. My baby really loved these Bingy Vinyl Wall Clocks.